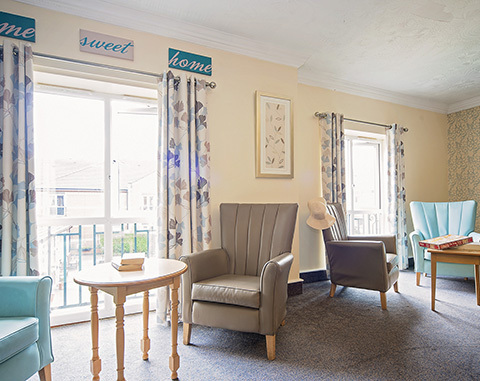 Our care homes are as individual as our residents. Find which of our excellent, purpose built facilities would best suit you. If you would like to discuss our facilities, need advice, or just want to chat, we will be happy to call you back. 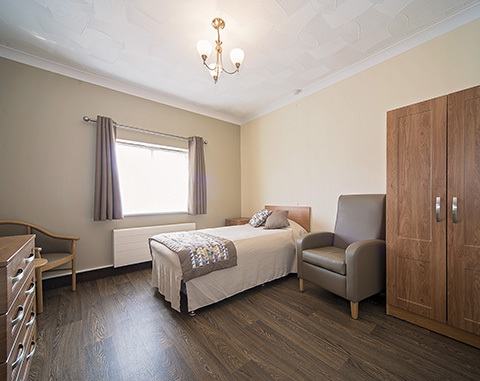 We understand that finding a new home for a loved one can be a daunting task, particularly when they have health issues and require additional support. Here at Hampton Healthcare we have been providing specialist care for over 25 years, and we use our extensive experience to provide outstanding personalised care. We can help with every aspect of daily life and provide you with all the support you and your family need, when it is needed most. 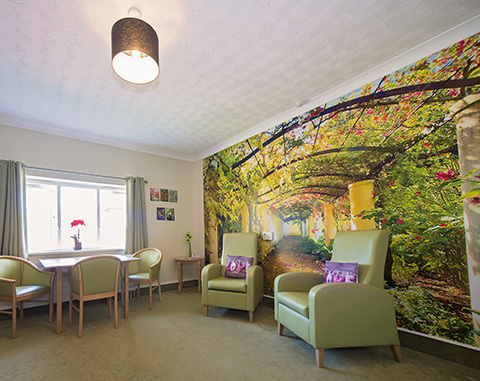 We specialise in dementia, physical disability and mental impairment, but understand that the most important things are compassion, warmth, empathy and a community that embraces every resident. Burlington Court Care Home has been selected as a regional finalist for The Care Team Award at the Great British Care Awards 2018. Our bedrooms are spacious and comfortably furnished. If you prefer, you can bring your own furniture, or maybe a favourite chair, to make it your own. We have a variety of lounges and communal spaces within the home, including a quiet lounge to read, reflect or simply relax. Our lifestyle support team arrange a variety of activities and events. These take place all over the home as well as outside, to have fun in the sun during the summer months. 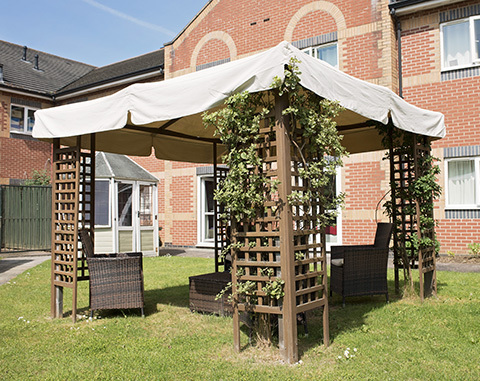 We have two gardens to enjoy at Burlington Court so if you wish to sit in the sun and enjoy some fresh air we have the space for you. 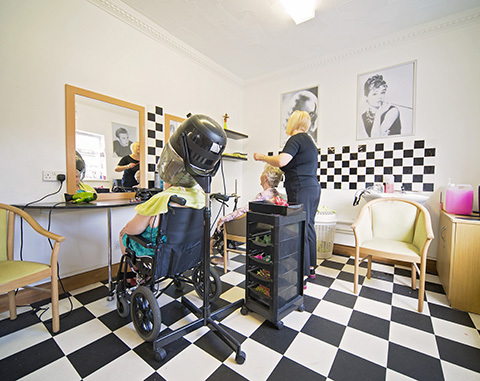 Our hairdresser Kerry, is based in our onsite salon. Whether you fancy a trim, or an entire new look, we will have you looking and feeling great. 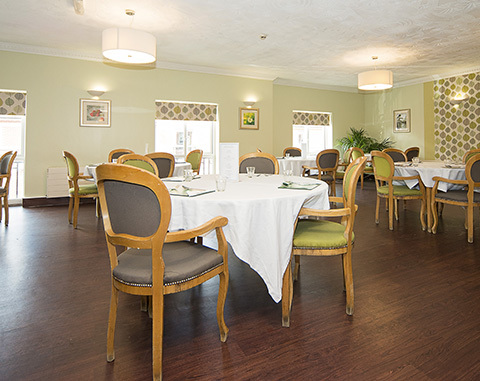 We have a restaurant to make mealtimes a social event as well as delicious. If you prefer you eat in one of our lounges, or your room, that’s fine too; let us know what you prefer. Our lounges are spacious, so whether you want to watch television, socialise, or simply sit quietly and relax, you will find a favourite spot or chair. 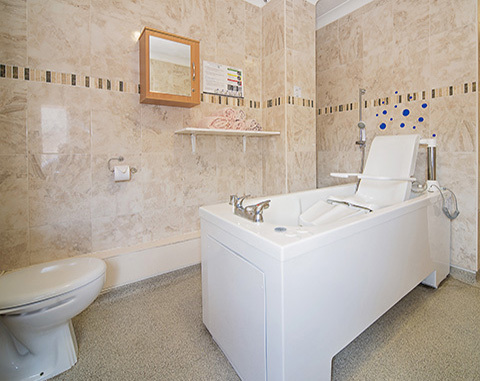 As well as showering facilities, we have a number of luxurious bathrooms in the home. Our baths are fitted with seat hoists, so even if you have mobility issues you can relax back and enjoy a soak. 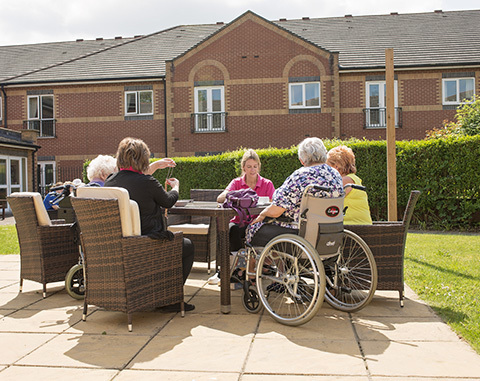 With our dedicated activity teams, getting bored at a Hampton Care Home simply isn’t an option! We offer a range of activities to promote physical and mental wellbeing, from gentle walks to relaxation exercises and spiritual meetings. Whether you enjoy singing a few bars, listening to a gospel choir, tunes from days gone by, or watching live entertainment, we have something for everyone. We offer a variety of clubs and activities to join, should you wish to do so. These include, gardening, baking, pub quiz, bingo, theme nights, and many more. Variety is the spice of life. Our residents enjoy shopping trips, walks in the park, nipping to the pub for a drink, and popping to the garden centre for a browse and a coffee. 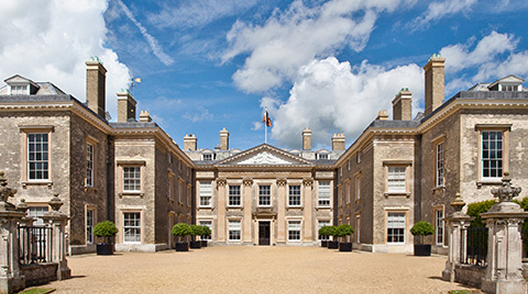 We offer a wide range of day trips, including visits to local garden centres for a browse and afternoon tea, visits to stately homes and gardens, theatre trips to watch a variety of shows, museums for local history and heritage, and shopping trips to indulge in some retail therapy. Day trips are planned regularly and are extremely popular with all our residents. We are dedicated to providing our residents with a varied selection of nutritious and delicious meals using fresh, quality ingredients. We change our menus regularly, to ensure variety and can cater for a variety of dietary needs including dysphagia.